There are women and men that are not comfortable sharing that they have, or have had breast cancer. Their reasons are varied. Some women I met as a navigator shared their fears of being treated differently by friends and family. Others, with prominent careers, said they feared their careers would be in jeopardy if they went public. For some women it is cultural. 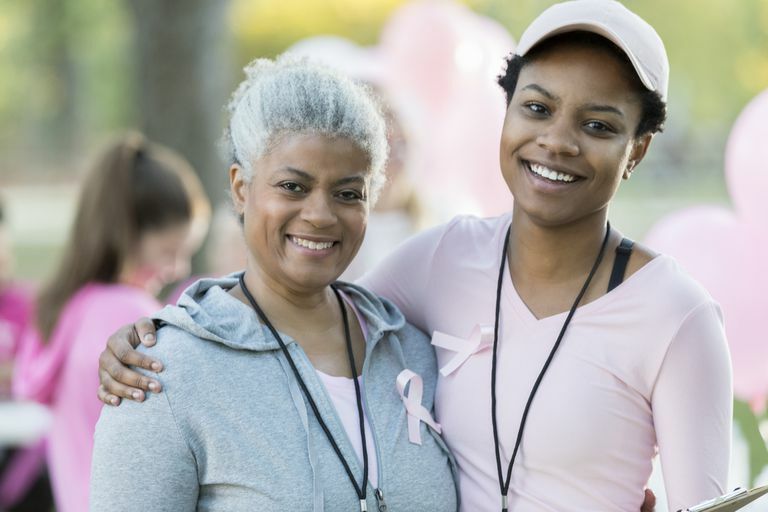 In the countries they come from, women don’t speak about breast cancer; it may be viewed as a punishment for past behaviors, while some may still consider it a contagious disease. Some men shared their embarrassment at being diagnosed with what they believe to be a woman’s disease. As a result, they are not comfortable with the speaking with other men to raise awareness that men get breast cancer too. Given that breast cancer is the most common cancer among women, with about 1 million new cases annually worldwide, and more than 400,000 deaths a year, it is hard to believe that this disease still carries a stigma for many women.There was a time, before breast cancer awareness activities in the United States, when breast cancer was a closet disease; when breast cancer meant women suffering in silence and men with the disease remained in the shadows. We owe a debt of gratitude to those who chose to go public about their breast cancer and to advocate for all the women and men affected by the disease. There were and continue to be, even today, so many issues, including: available treatments, the dire lack of funding for metastatic breast cancer research, and, a serious lack of community-based breast support services for those diagnosed with breast cancer and especially those living with metastatic disease. Find other more effective means of screening to detect breast cancer at its earliest possible stage. Develop less debilitating surgeries, such as lumpectomy, for early stage breast cancer rather than a mastectomy. Their outreach influenced government to pass legislation entitling women who could not afford mammograms to have free access to them through a government program. Advocates were successful in getting government to pass legislation entitling women to coverage for reconstructive surgery. Rose Rehert Kushner stands out as one such advocate. In 1975, as a writer and breast cancer survivor, she wrote Breast Cancer: A Personal History and an Investigative Report. It was a personal account of what she went through with her breast cancer and an in-depth analysis of the best practices for treating breast cancer at that time. Excerpts of her book were carried in newspapers and women’s magazines. The book was still in circulation during the early 1990s. Ms. Kushner advocated for women to take an active part in their treatment. She encouraged women not be passive about decisions being made about their care and what was to be done to their bodies. One of her major contributions was to call into question the standard medical procedure of performing a one-step biopsy and mastectomy. Before a woman went into surgery, she had to give permission for this procedure knowing that she might wake up only to be told that she did have breast cancer and that her breast was removed. Ms. Kushner spoke to several physicians before she found one willing to perform a two-step process for her, which would separate obtaining the biopsy results from the surgical treatment. Her research supported her position that a two-step process benefited women psychologically, but had no impact on their prognosis. She successfully lobbied those in the cancer establishment to change this customary approach to treatment, which had long been based on tradition rather than medical evidence. Thanks to her advocacy, the two-step biopsy and treatment decision is now standard procedure. Why come out about your breast cancer? Simply put, disease-related advocacy is usually most successful when survivors of the disease make others aware of what needs to be done to improve treatment outcomes and increase survivor rates. Survivors carry a message of hope. They are living proof that early detection and early intervention works. If those of us who survived breast cancer or are living with breast cancer as a metastatic disease don’t advocate how realistic is it that we expect anyone else to do so?